This post is made on behalf of the Executive of Alumni Association, CEC. Information in this regard has already been passed to all the CECians well in advance, and this is just a reminder. 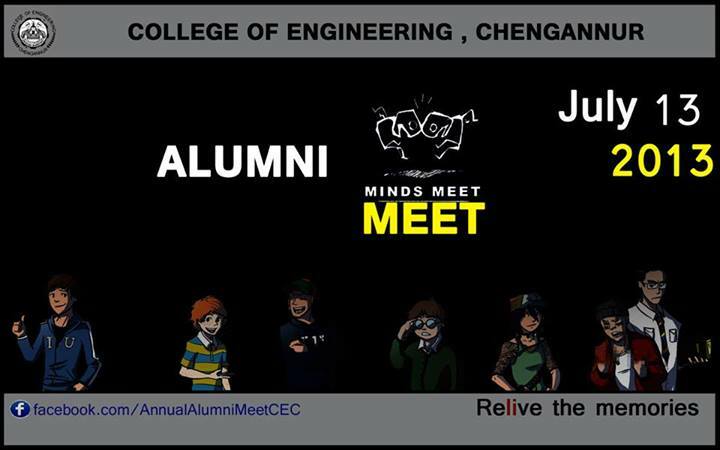 This year’s CEC Alumni Meet is scheduled to take place at CEC at 9:00 AM on July 13, 2013 (Saturday). Make sure that you turn up for the same on time. Do you ever read/see/experience something that immediately takes you back in time? It’s in fact a strange feeling and am sure that the name CEC would mean bring a sea of memories into your mind. 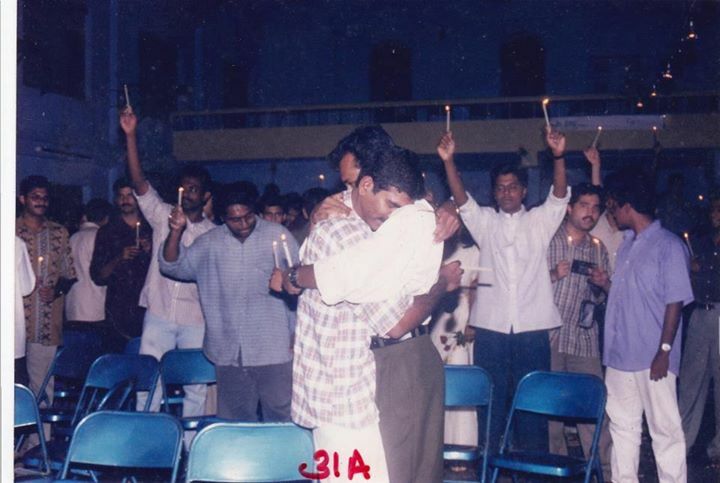 Those wonderful hours where you bunked class and enjoyed with your friends, the chaaya’s n pazhampori’s at the ever-old college canteen, those labs where you can no longer write programs or plotting the frequency of an RC coupled amplifier, some precious gems called teachers who adorned your college life n a scarce few who screwed yours… well, my list is unending. 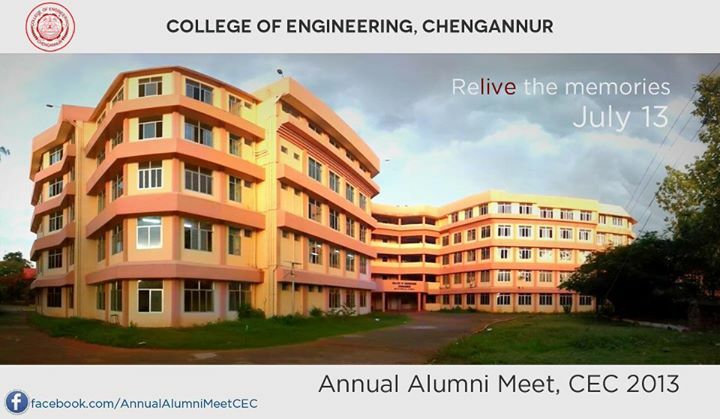 We welcome you to be part of the Annual Alumni Meet of College of Engg Chengannur which is to be held on the 13th of July 2013. Your IRCTC bookings are open, the flights are quite cheap at that point of time, wait a little while if you plan to travel by bus. But, anyhow, ensure that your tickets are booked and you are there to be part of all the fun (and of course, the serious business as you might be aware that the alumni association is brimming with activities and events). 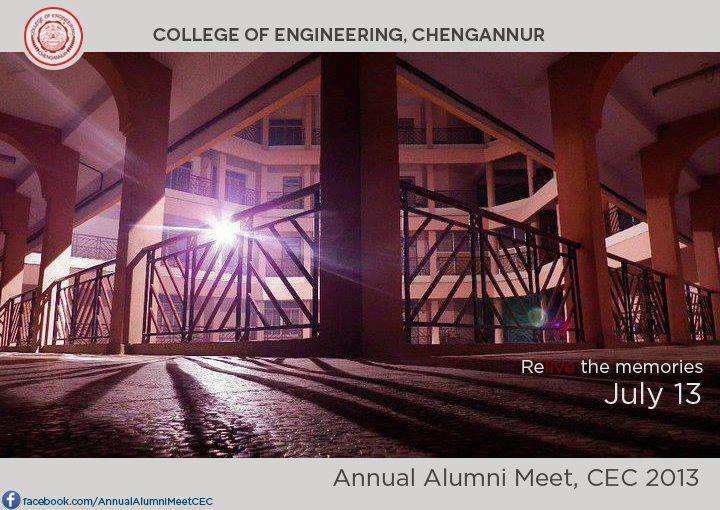 This entry was posted in Alumni or ARC (Alumni Relations Cell), College of Engineering Chengannur and tagged 2013, Alumni Meet, Alumni Meet 2013, Alumni or ARC (Alumni Relations Cell), CEC, CEC Alumni, CEC Alumni Association, CEC Alumni Meet, CEC Alumni Meet 2013, CECAA, College of Engineering Chengannur, Get together. Bookmark the permalink.